Red carpets. Magic Castles. Private country clubs. A-List everything. Sure, there’s that LA dating scene, but just because your savings account is seriously anemic doesn’t mean your dating life has to be. Remember, getting (or keeping) the one isn’t about how much you spend—but rather how much you attend. Attend, as in invest emotionally. And really think about who you’re with and what they’d be into when designing a date—whether you swiped right 10 minutes ago or have Facebook official status. Now, that makes you a baller. For ideas to do just that, here are 20 dates in Los Angeles for $20 or under. Don’t worry, these won’t make you come off as cheap (i.e. this is a Groupon free zone)—unless you already are. If that’s the case, please do the dating pool a favor and don’t read this guide. Spending an afternoon at a swanky hotel pool is a stroke of genius move… and there's actually a formula here that works in your favor—the less it smells like day-old Snooki, the more likely you’ll have a super pleasant and cheap poolside date. 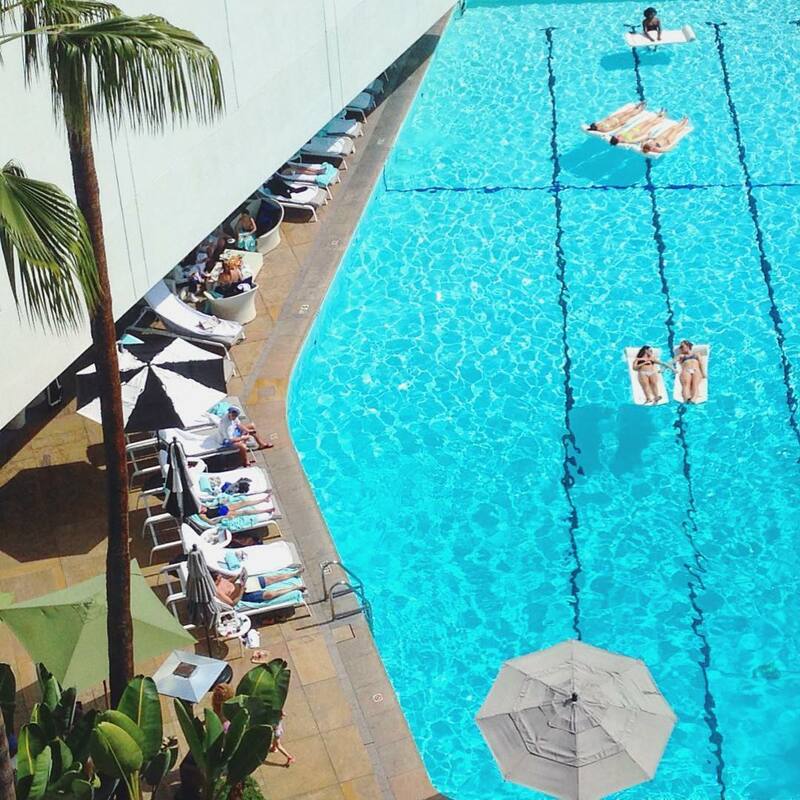 Pass on the oily, exclusive pool parties, and go to the Beverly Hilton. It's full of LA history past and present (they still host the Golden Globes). Order a round of drinks, and you've got a classy afternoon in the BH on a SMC-student budget. Pro tip: This is one of the rare upscale hotels in the area that invites non-guests to hang poolside. No room key/gate access required. Make sure you go during happy hour (M - F, 4 - 6 p.m.) to keep it at $20. HH beer/wine is $5.50, validated parking is $7. Do something good together. Really, it's a win every time. 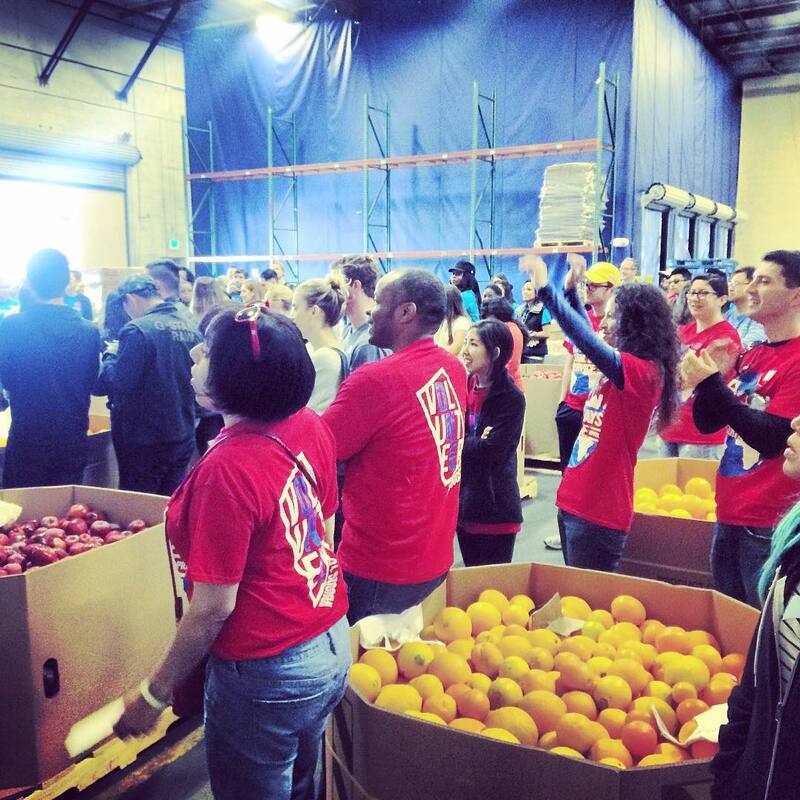 The LA Regional Food Bank needs help every Saturday morning sorting and inspecting food donations. You two can stand next to each other as those Progresso cans come barreling down the assembly line all I Love Lucy candy factory-style. Get lunch afterward at La Carreta (combo meals average $8 each), about a 10-minute walk from the food bank, and plan your second date over a round of enchiladas. Pro tip: Sign up in advance on the food bank’s website. 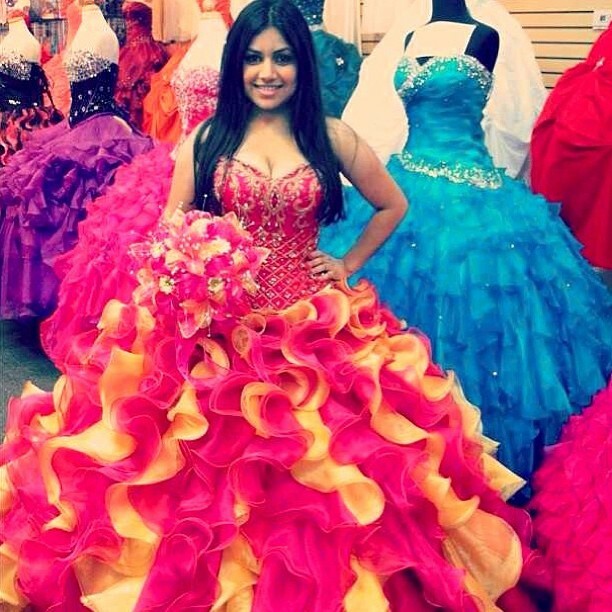 dress on a first or second date … until now. Follow her lead and try on some sweet pimpin' suits as you stroll through Santee Alley in the middle of the Fashion District. On a weekend morning, you'll be transported to another place and time. 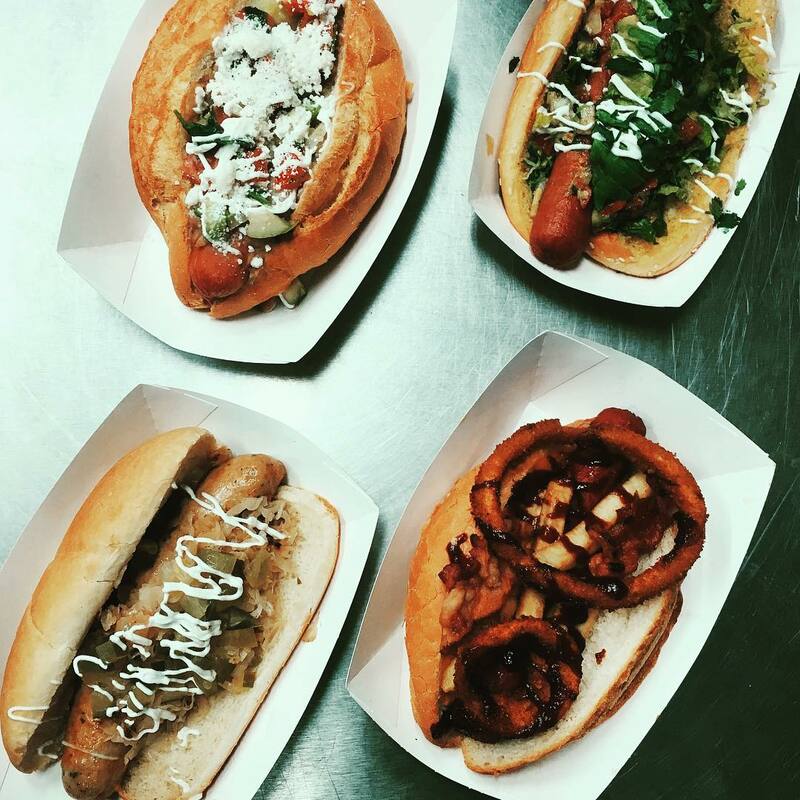 So put on your own fashion show, get some bacon-wrapped hot dogs and churros from a street vendor, and share a real LA moment together. Here's the thing about spoken word, stand up, or improv as a date idea: there's at least a 50 percent chance that it'll be like watching an episode of Dating Naked—embarrassingly uncomfortable, shame-inducing, and quite literally unwatchable. But there's something different about Da Poetry Lounge's monthly Slam. It's actually exciting, energizing and is sure to amass talking points for some meaningful conversation afterward. 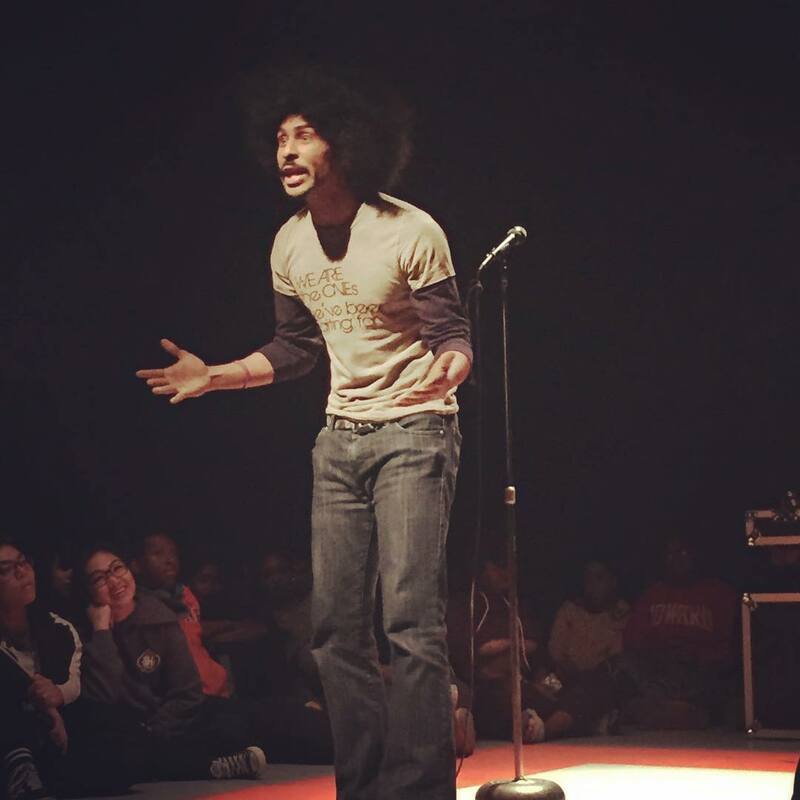 The Slam happens the third Tuesday of every month, but if you don't want to wait, there are also weekly open mics. 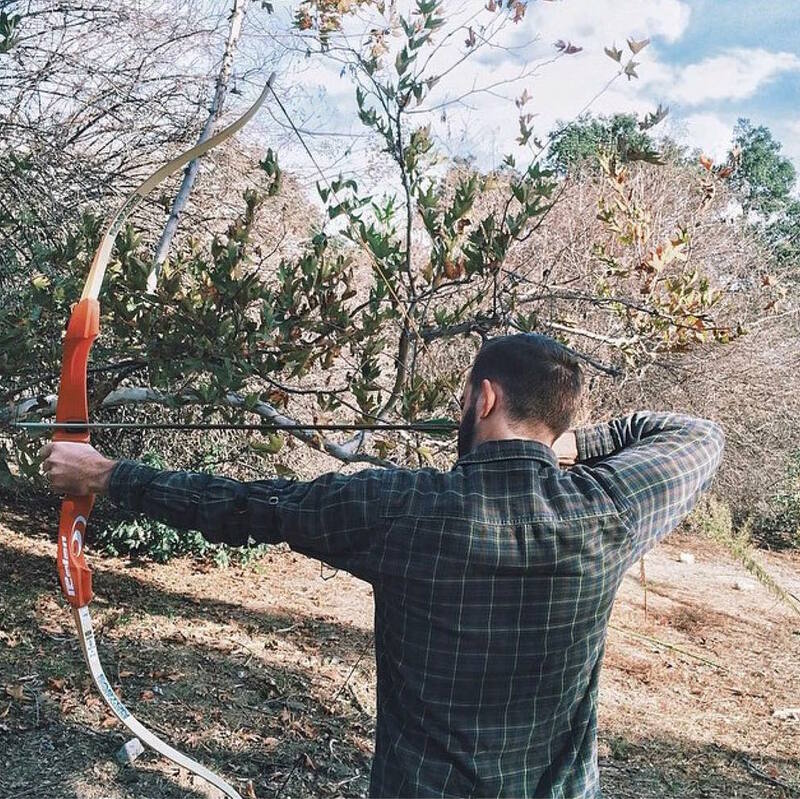 It turns out there's been a group of archers in Pasadena who have been perfecting their craft since 1935, and they offer free Saturday morning lessons to first-time students. Wearing your favorite Lenny Kravitz-designed dress is optional, but strongly encouraged. 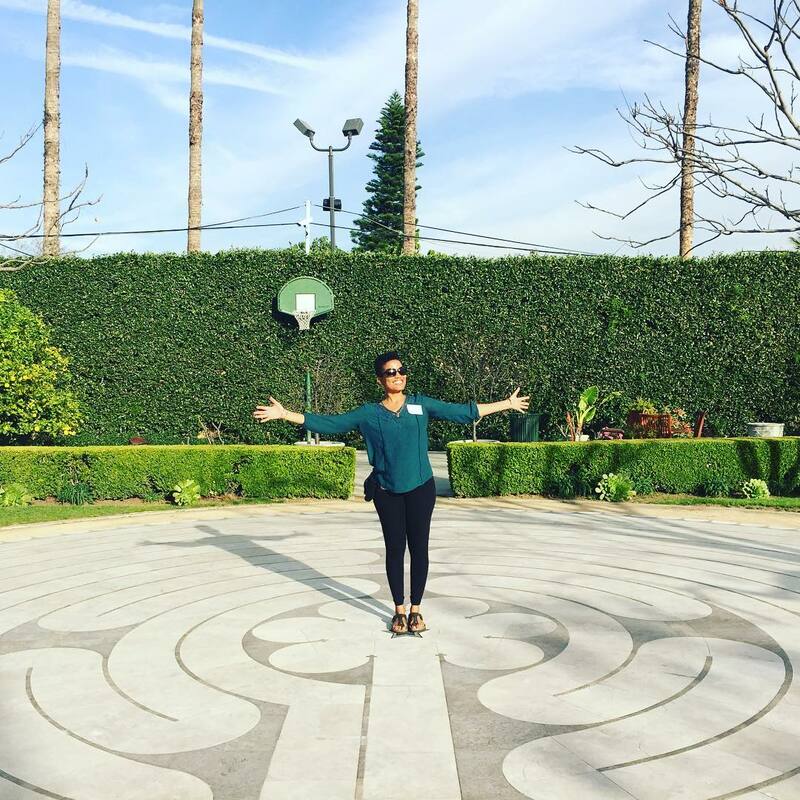 She may think you're taking her to a David Bowie shrine (which would be a pretty damn cool date), but the Peace Awareness Labyrinth & Gardens are probably the most zen place in LA that you've never heard of. There’s a meditation garden, lily ponds and many areas with great views of the city to inspire some meaningful convos. You'll win major points for this one. 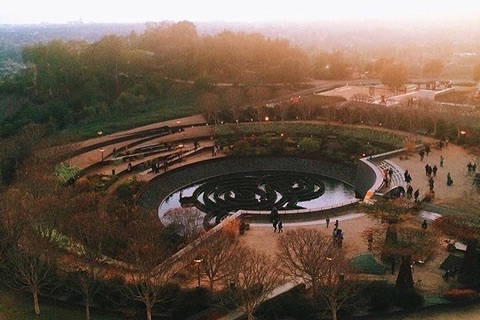 Pro tip: The Labyrinth is free, but you need to reserve tix ahead of time via their website. The idea of spending an afternoon roaming endless halls, pretending to be interested in 12th century sporks and butter churners sounds like the complete opposite of a good time. That’s why a museum is usually a terrible date idea early on … unless you never have to actually go inside. Hellooo, Getty. 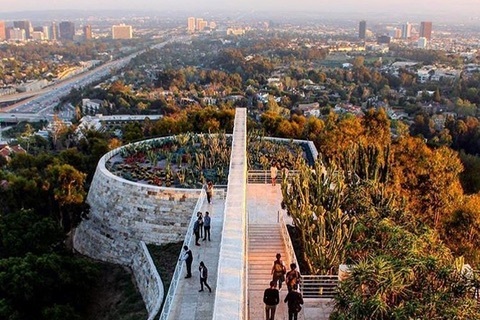 The most engaging part of The Getty is their garden and architecture tours, which are open all day Tuesday through Sunday. And, it’s entirely free with the exception of $15 parking (after 4 pm, it’s $10). Afterwards, grab two coffees ($3 each) from the cart in the Courtyard, have a seat in the Central Garden and get to know each other in one of the most beautiful settings in town. 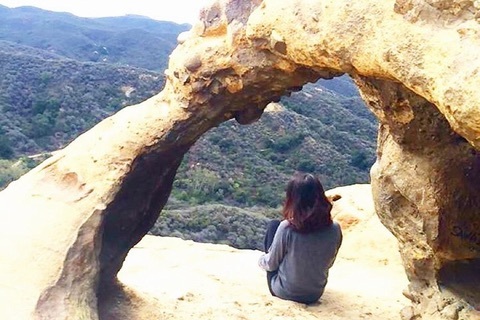 You may have a great hike in mind that winds through the Santa Monica Mountains with sweeping ocean views and a waterfall at its peak, but here's the thing: huffing and puffing for air isn't the best way to have a conversation when you’re just getting to know each other. However, nature is kinda romantic and always good to get a dose in. So, no to the hike. Yes to a garden walk. 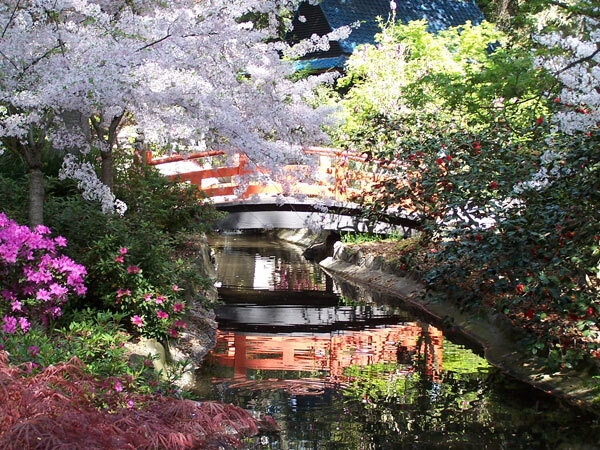 Descanso Gardens in La Cañada is about as picturesque as it gets and you won’t break a sweat even if you haven’t worked out since 1999. It doesn't get any more simple and charming than this. 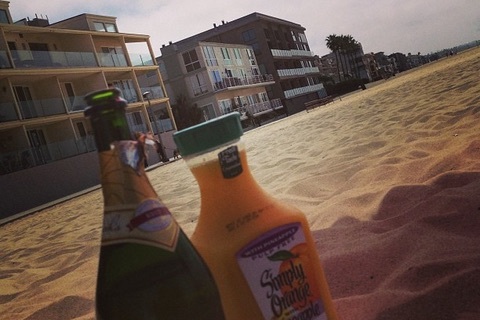 Pick up a bottle of halfway decent prosecco, some OJ and head to the beach on a weekend morning. Lay down a blanket by the water, and enjoy an intimate morning together. Playa del Rey has a huge beach, ample free parking on weekend mornings, and pretty clean public bathrooms, but any old beach will do. Pro tip: Have a wind plan. You never know when the beach is gonna be crazy windy, and there's nothing that will make her hate you more than a mouthful of sand. One of the keys to a successful and unique date is to take a standard idea and twist it to make it your own. 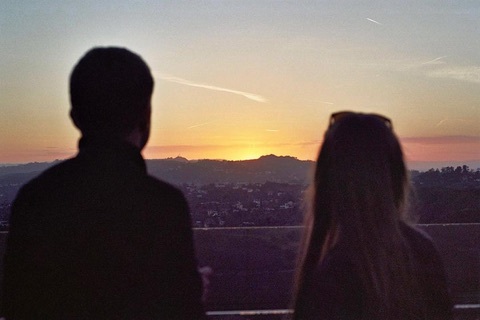 Any given night at the Griffith Park, there will be a hundred couples on dates, but you'll be the only ones spread out on the front lawn with an after-dark picnic. Bring a bottle of wine, some light snacks, and enjoy the stars, city views and each other’s company. 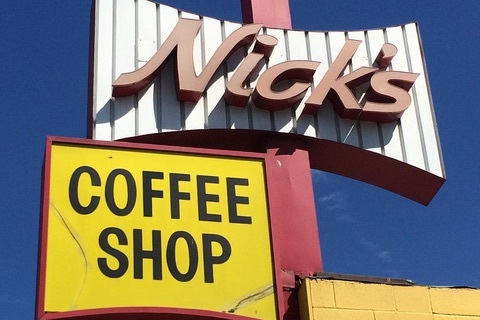 Pro tip: Technically, you can't drink there, but no one should bother you. Remember when weekends were about arcades, bowling alleys, drive-in theaters, and Members Only jackets? Of course you don't, because you're not Jeff Spicoli and you didn't go to Ridgemont High. But go ahead and re-live a little of that ‘80s glory (maybe for the first time) with free classic arcade games all night, like fan favorites Frogger and BurgerTime at The One Up. 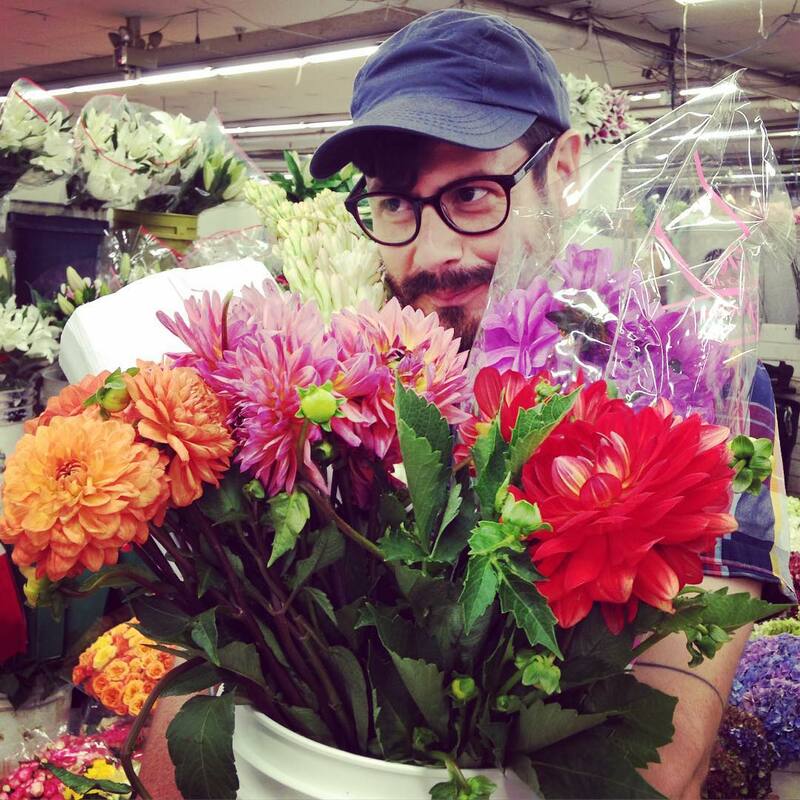 Sure, she somewhat appreciates the gesture when you come home with toilet paper and a $6 bouquet from CVS or Vons, but did you know you’re not far from the largest wholesale flower district in the United States? Spend a Saturday morning in the LA Flower District designing a bouquet together—flowers are cheap and it’s good vibes for blocks on end. 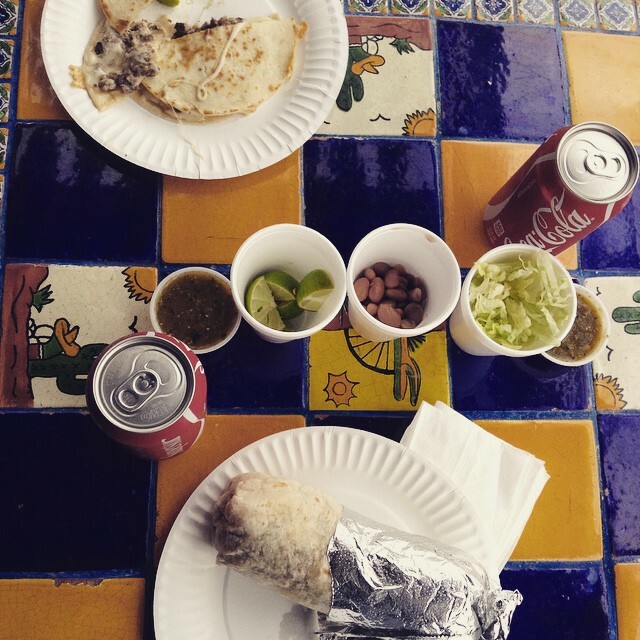 You might even have a few extra bucks for horchata and tacos. Pro tip: check distances and conditions beforehand to make sure you're both up for it. 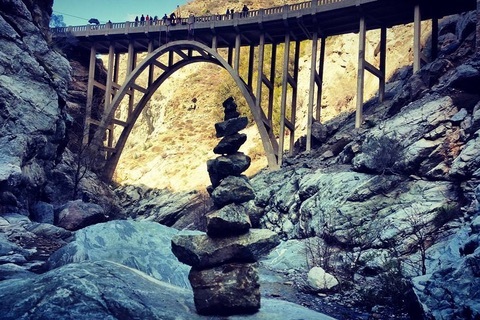 Bridge to Nowhere hike. Image courtesy of @rob_actually. Maybe you have kids. Maybe you don't. 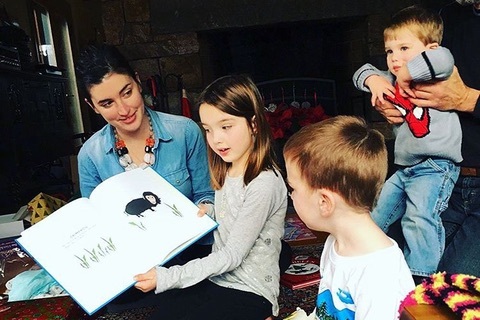 Either way, reading to some new ones together on a Saturday morning is about the most heart-warming way to start a weekend. You'll leave feeling great about yourselves, and each other. Pro tip: This happens the second Saturday of every month and you need to sign up/pick your location in advance. Maintaining a sense of adventure is one of the keys to any lasting relationship. To that end, don't make a plan today. Just load $7 on your TAP card to cover two round trip fares, walk to the nearest bus stop and hop on the first bus that pulls up. Exit whenever you feel like it, walk around a fascinating neighborhood or attraction that falls under the radar like The Banning Museum (take the 246) or Petersen Automotive Museum (take the 780) and pop into a local place for some food (who knows, maybe that Chipotle burrito bowl tastes better in Gardena than it does in Culver City). 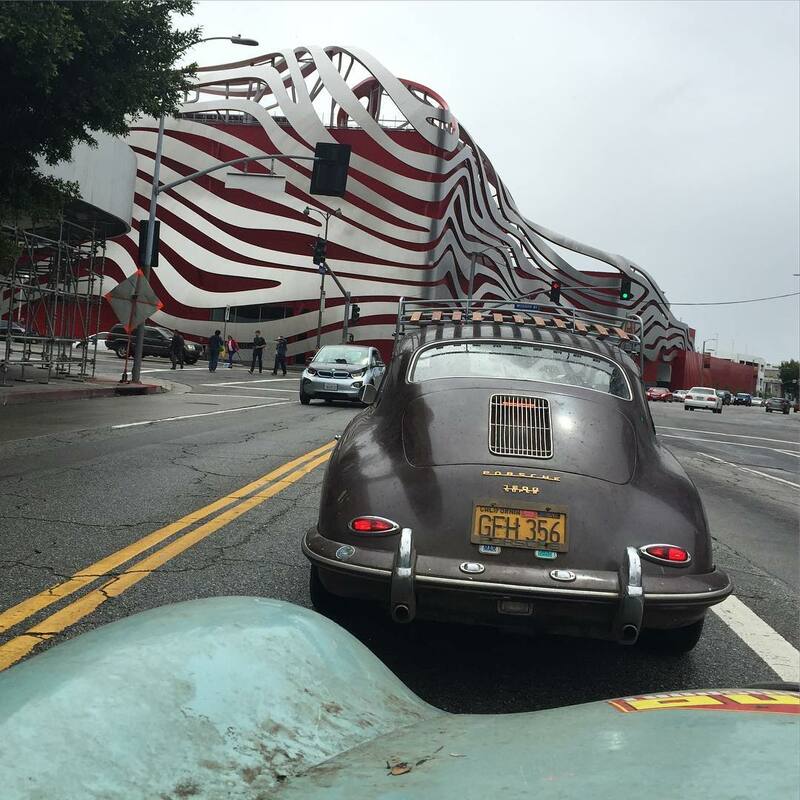 96: runs from Downtown Burbank, through Griffith Park passing the LA Zoo and Autry Museum of the West, onto Silver Lake and Chinatown, ending in DTLA. 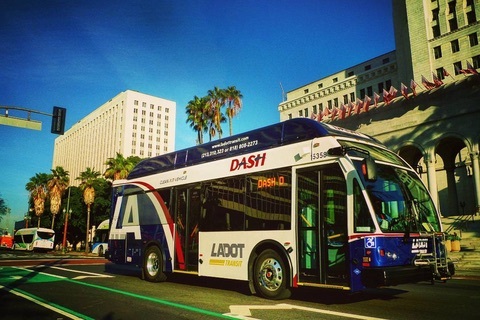 Pro Tip: Buy TAP cards (they cost $1) at any metro rail station, on the LA Metro site, or at a handful of Ralph’s stores. 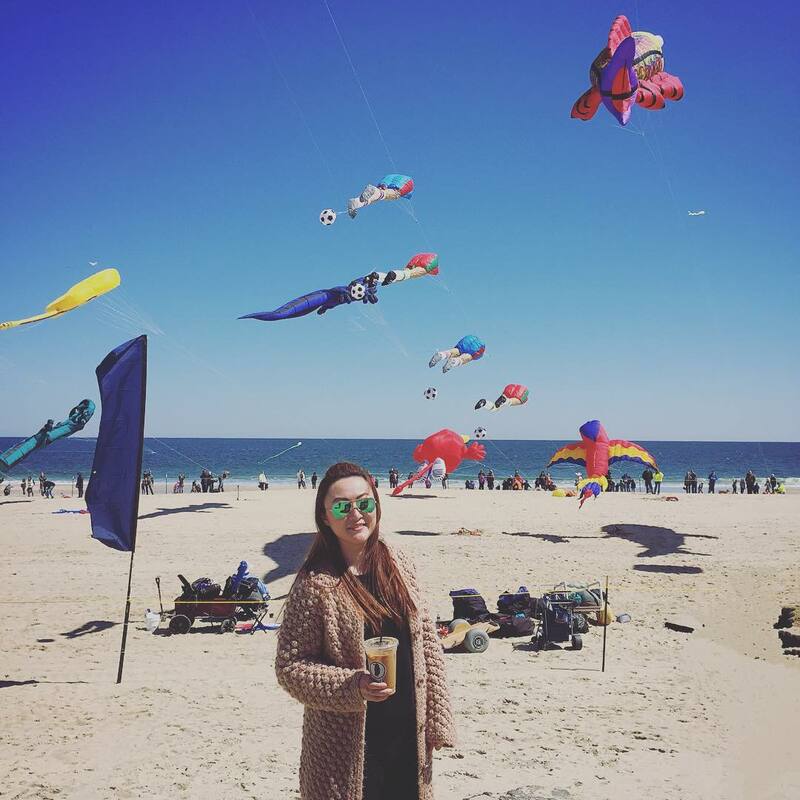 Like kickball, coloring books and positive affirmation, kite flying ain't just for kids. Maybe you haven't flown a kite since you were six, and maybe you sucked at it then … and maybe you'll be even worse now. Either way, you're in it together. So have a blast. You can always pick up a kite at a Big 5 ($10 kites) or a Sports Authority, but go to Sunshine Kite Company on the Redondo Beach Pier instead and the kite purchase can be part of the experience. You may think polo is for a bunch of Ralph Lauren-wearing, prep school turds with first names like Hamilton or Niles. 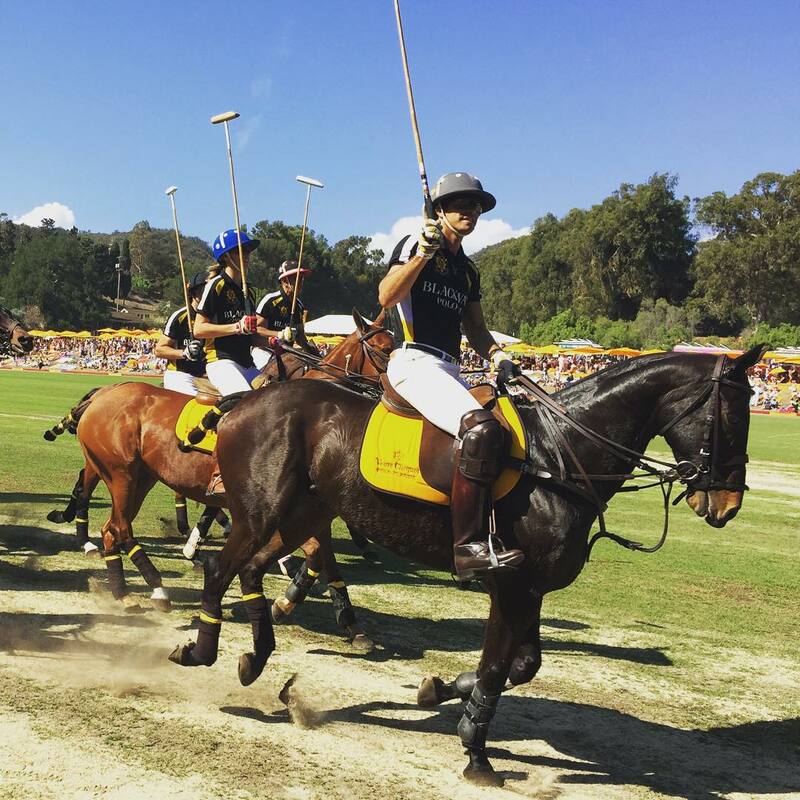 Turns out that's not the case at Will Rogers Polo Club, which has free matches every weekend from late April through early October. It's family friendly, free and open to the public. So dig those white linen pants out of your closet, pack some champagne (or rather sparkling wine, just not that $5 dollar bottom shelf brand at Ralph’s or it will give you a headache) and food, and head on over. Pro tip : There's no shade, so bring hats and sunscreen. Park on the hill leading up to the polo field for free or else pay $12 to park in the lot at the top. Create custom mugs for each other. All you need are two ceramic mugs, some Sharpies, maybe stencils and an oven. Your morning Irish Coffees will taste so much sweeter knowing those mugs were made with love. Go ahead and be that so-cute-you-make-others-puke couple who handpaints Christmas cards together. 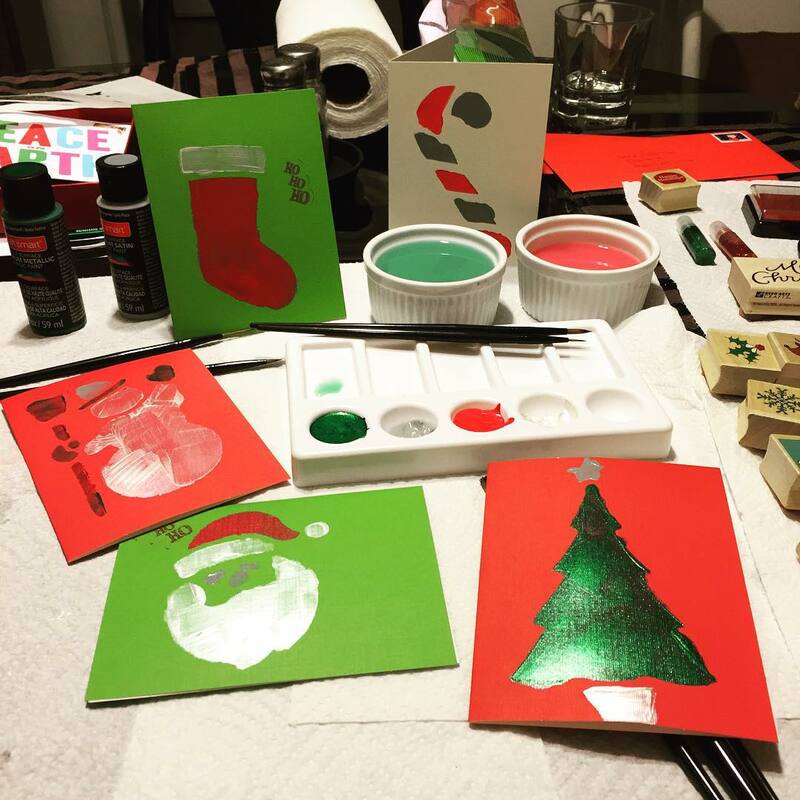 Blank cards, brushes, paint, stencils, and stamps and you’re ready to rock and roll. Brian Roth knows how to make a girl feel like a million bucks, even when he keeps it under the $19.99 mark. Don't blame him for being resourceful, this is LA and he's a writer for crying out loud. Follow his baller budget moves on Instagram @brianjayroth. The Los Angeles Fashion District is a design, warehouse, and distribution nexus of the clothing, accessories and fabric industry in Downtown Los Angeles. Local chain known for Cuban classics like ropa vieja & picadillo served in a hacienda-style setting. High-end hotel, host to the Golden Globes, offering an outdoor pool, cocktail bar & event space. 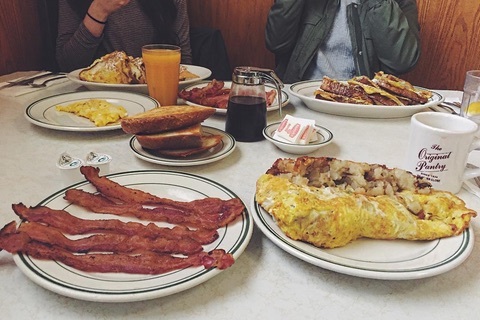 This unassuming diner serves traditional American fare for breakfast, lunch & brunch. Old-school diner serving up American eats such as classic breakfasts & chicken-fried steaks. Picturesque botanic gardens & oak forests showcasing native plants, water features & a casual cafe. Playa del Rey is a beachside community in the Westside of the city of Los Angeles, California. It has a ZIP code of 90293 and area codes of 310 and 424. As of 2014, Playa del Rey's population is 12,129 people. 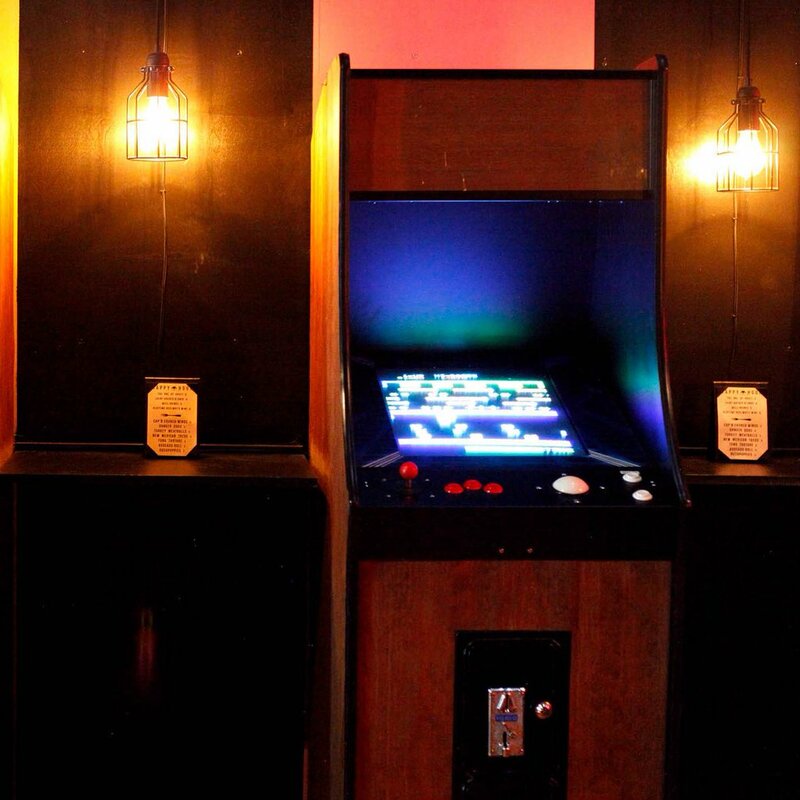 Retro arcade games & a mixology-focused bar program up the cool factor at this hip cocktail lounge. Little Armenia is a community that is part of the Hollywood district of Los Angeles, California. It falls within the area referred to as East Hollywood. The area is served by the Metro Red Line at the Hollywood/Western station. Little Ethiopia is a block-long stretch of Fairfax Avenue in the Mid-Wilshire District of Central Los Angeles, California, part of the P.I.C.O. 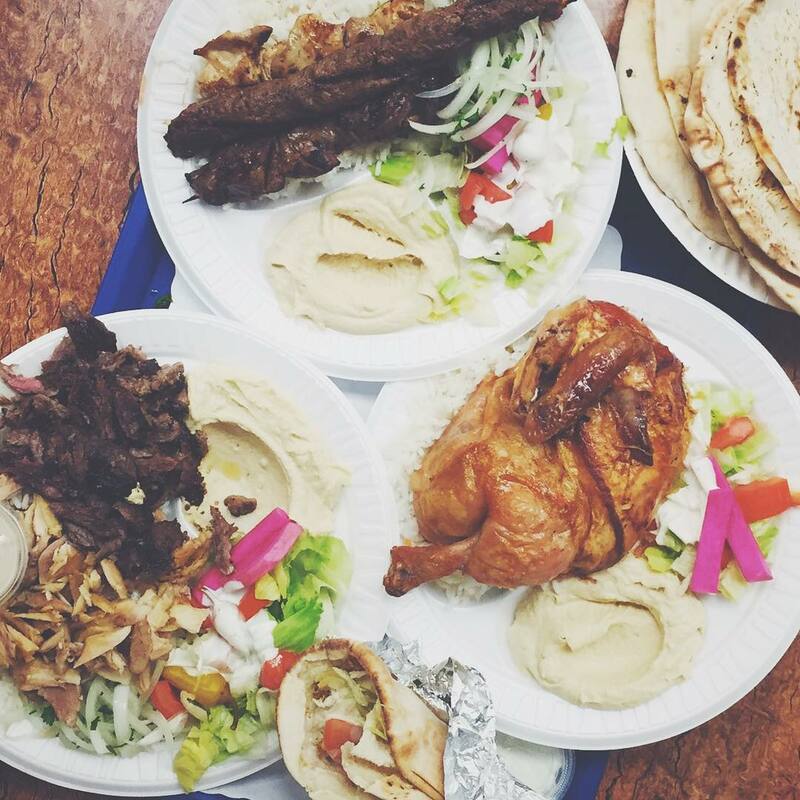 Bare-bones eatery known for rotisserie chicken with garlic sauce, plus other Middle Eastern fare. 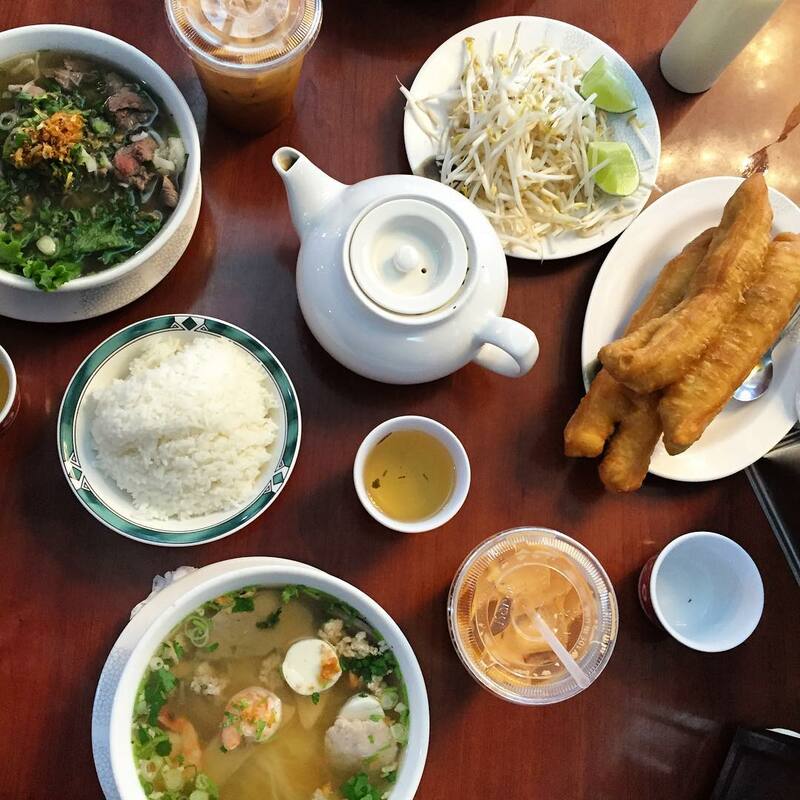 Veteran noodle house offering homestyle Cambodian food in a simple space with counter service. Gourmet Indian treat shop since 1990 offering traditional, all-vegetarian pastries & treats. Traditional meat & veggie stews accompanied by injera bread highlight this yellow-walled BYO cafe. Beef jerky stew & other traditional Ethiopian specialties offered in simple, snug quarters. 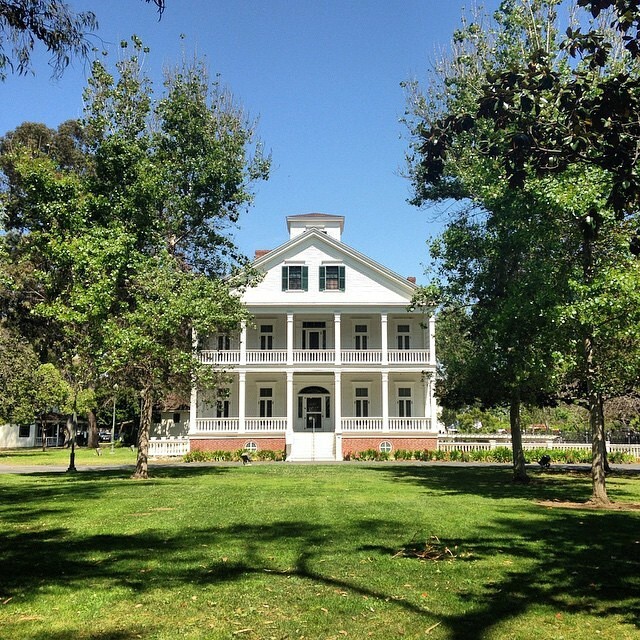 Landmark 19th-century estate provides living history tours, education programs & community events. Locally owned whimsical shop features colorful kites & yo-yos, with free classes every Saturday. 10-acre green space with harbor & sea views, BBQ grills & tables, plus a free summer concert series. 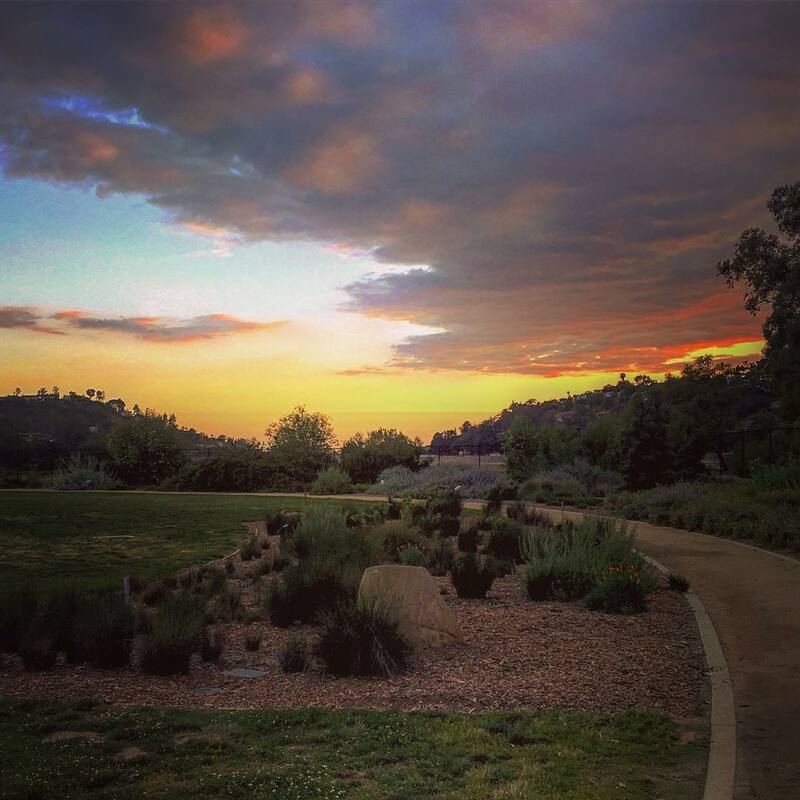 Once Will Rogers' ranch, this park features trails set in the canyon with views of LA & the ocean. Plays, open-mike poetry & student productions staged in a small performance venue built in 1939. Casual cash-only diner, open since 1924, dishes up ample portions of American eats around the clock. Old-school diner featuring American comfort-food classics, plus live comedy, music & karaoke. Cozy spot specializing in traditional Middle Eastern stuffed pastries, such as borek & lahmajun. 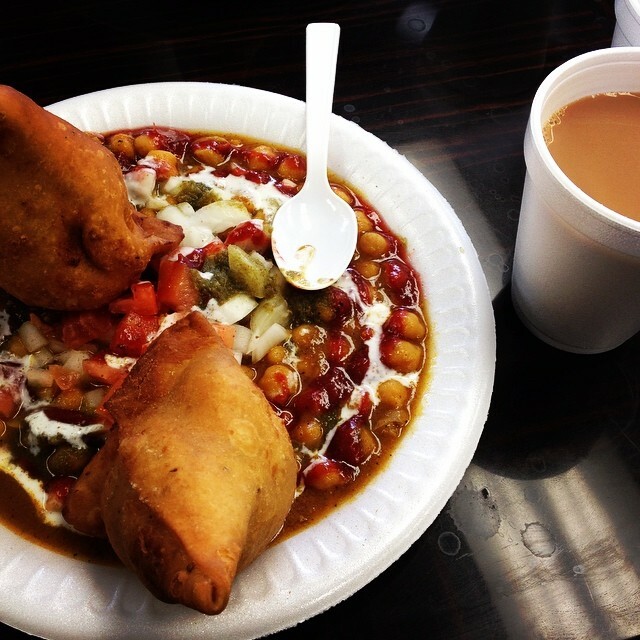 Paratha Grill is a cornerstone in the Artesia community and has been recognized for its outstanding Indian cuisine, excellent service and friendly staff. 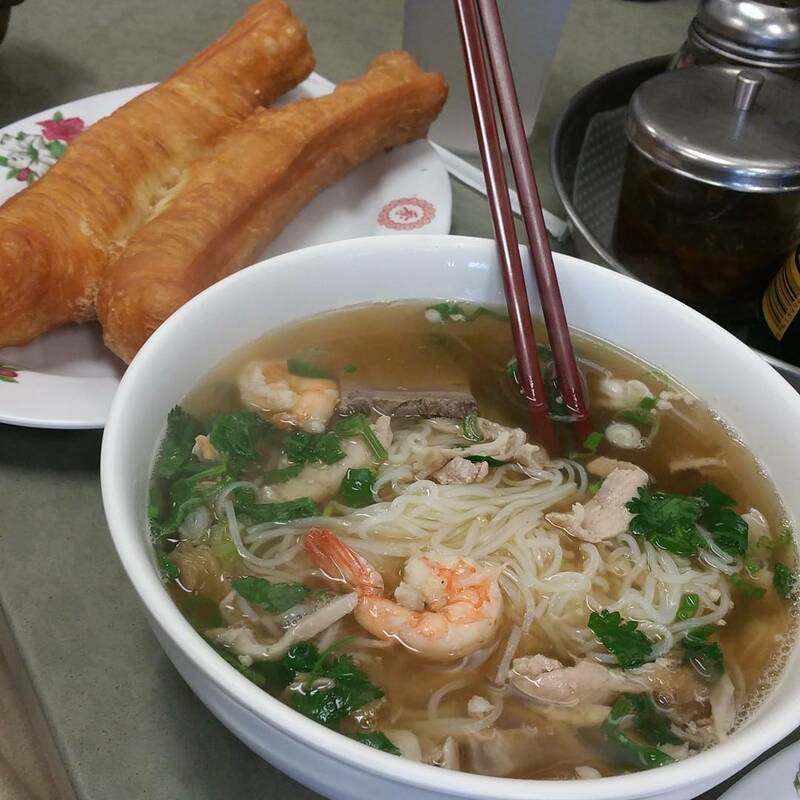 Chinese and Cambodian cuisine with an experienced chef of over 30 years. Chain of family-friendly diners serving breakfast, burgers & other American comfort food.